This is the second page of travel photos from my trip to Italy, in September and October, 2009. If you would like to see the first page, PLEASE CLICK HERE. Atrani, on the Amalfitana, just West of Amalfi. 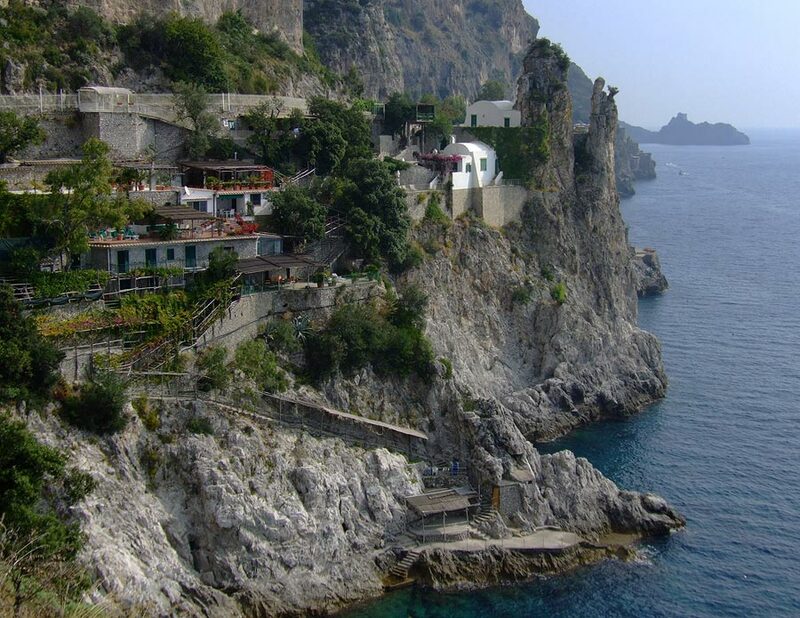 This photo was taken on a delightful walk from Ravello, high up in the mountains, down to Amalfi. Portofino. 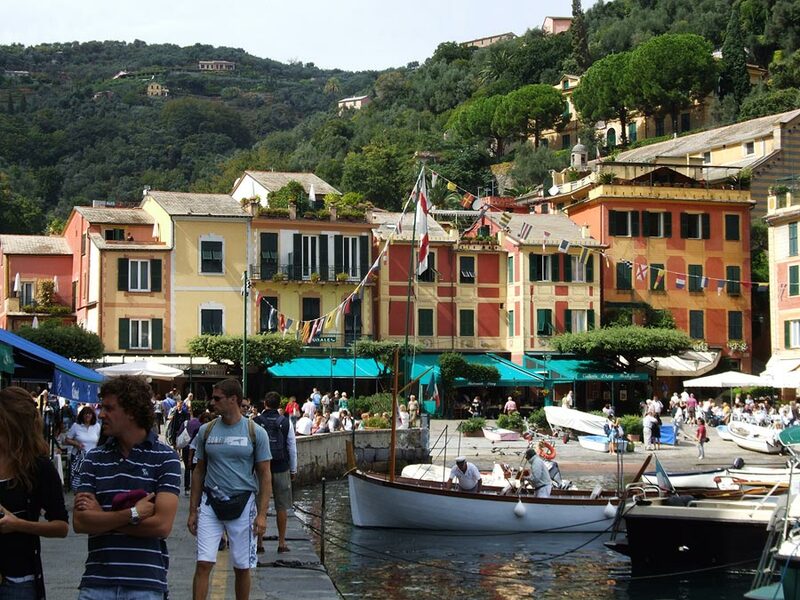 One of my favourite places on the Italian Riviera. I was walking in Naples, from the Capodimonte Museum down to the foreshores, when I came across this lovely structure. 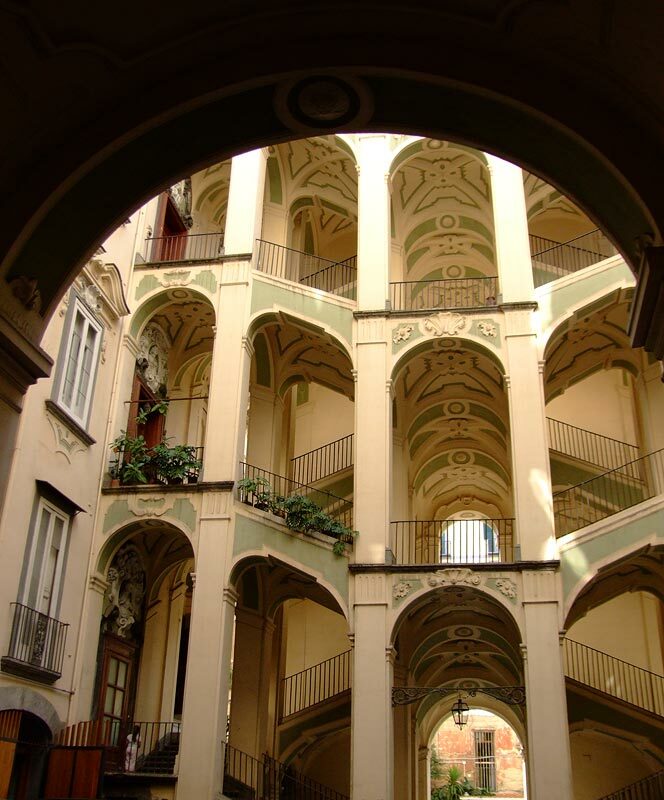 It is called the Palazzo Dello Spagnola. The neighborhood has seen better days, but the lovely staircases caught my eye as I was strolling past the old and dilapidated entrance to the courtyard. 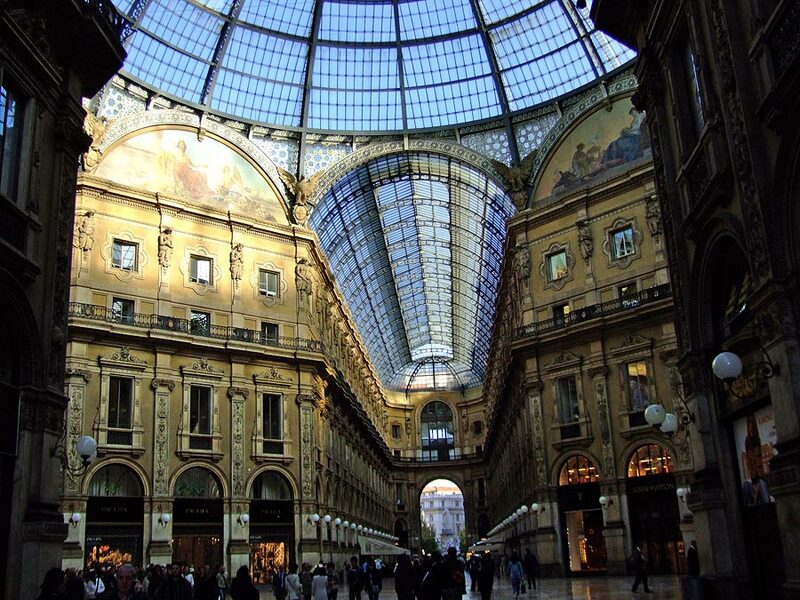 This is a view of the famous arcade in Milan, right next to the Duomo. As I discovered on this trip, there are similar arcades in Rome and Naples. When I was in the arcade in Rome, I mentioned to a barrista who made me a coffee there that the structure reminded me of the famous one in Milan. He replied with a knowing smile, "Yes, but OURS is older". 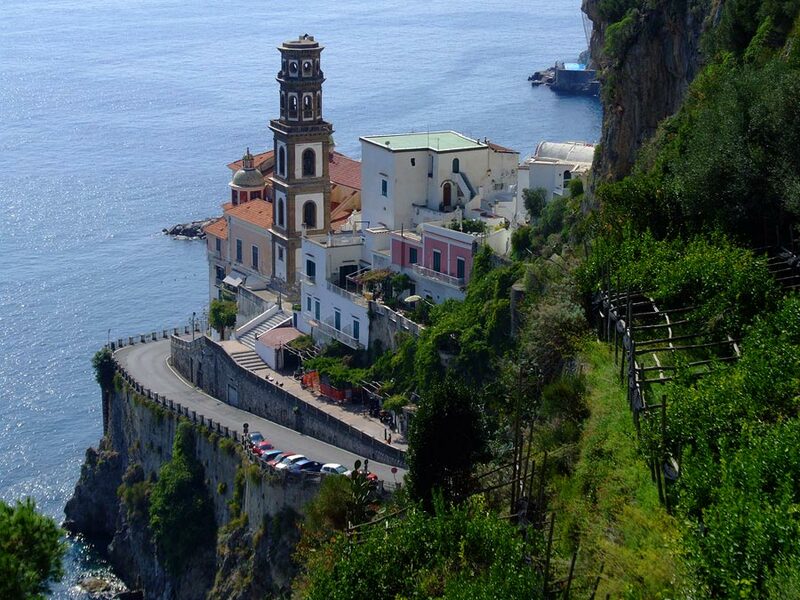 This was taken on the walk from Ravello to Atrani, on the Amalfi Coast. I was facing West towards Salerno. I think that the town at the top of the photo could be Minori. 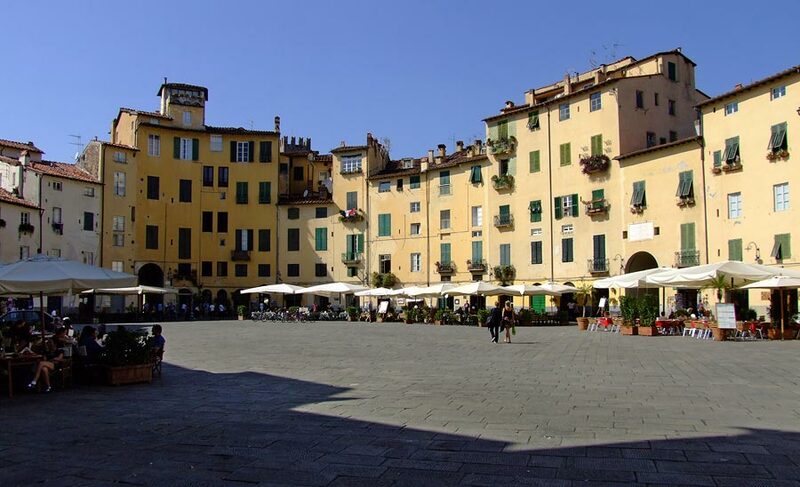 Lucca is a lovely town, surrounded by its old walls. This oval shaped piazza, now resplendent with the umbrellas of the coffee shops, was once the Ancient Roman Amphitheatre. 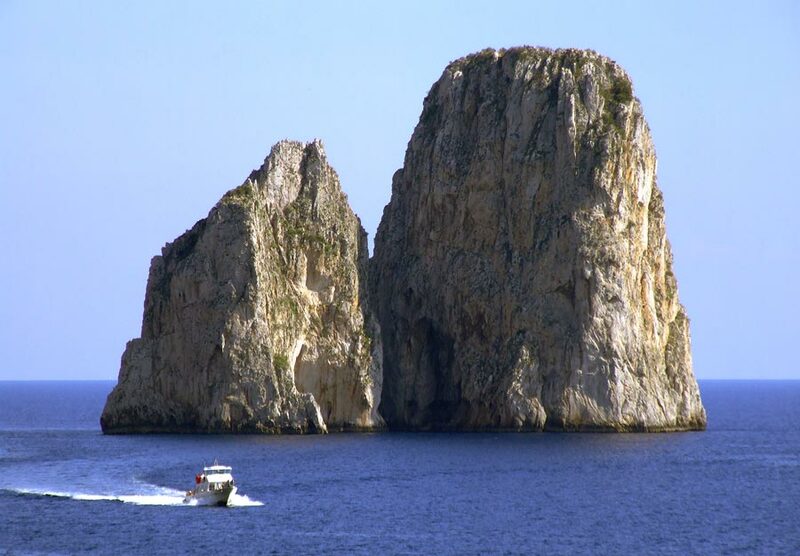 These two rocky outcrops are off the West Coast of Capri, near the Little Marina. 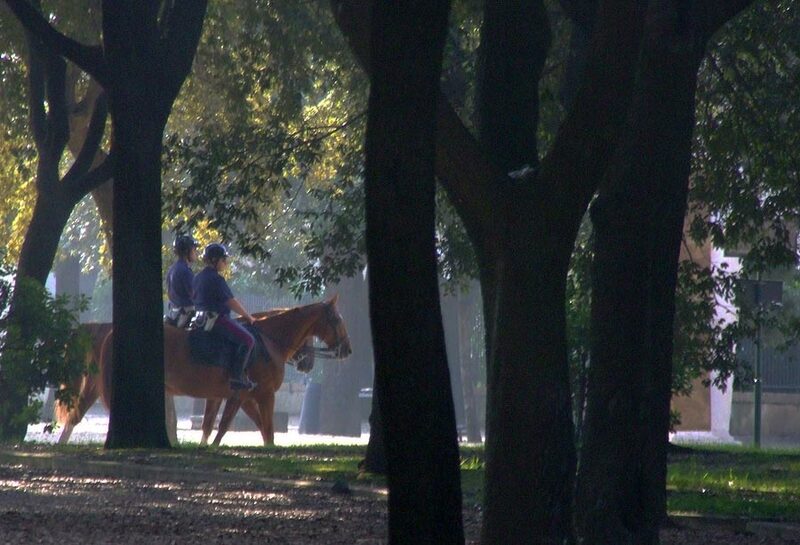 The Villa Borghese is a lovely park high up on one of the seven hills of Rome. 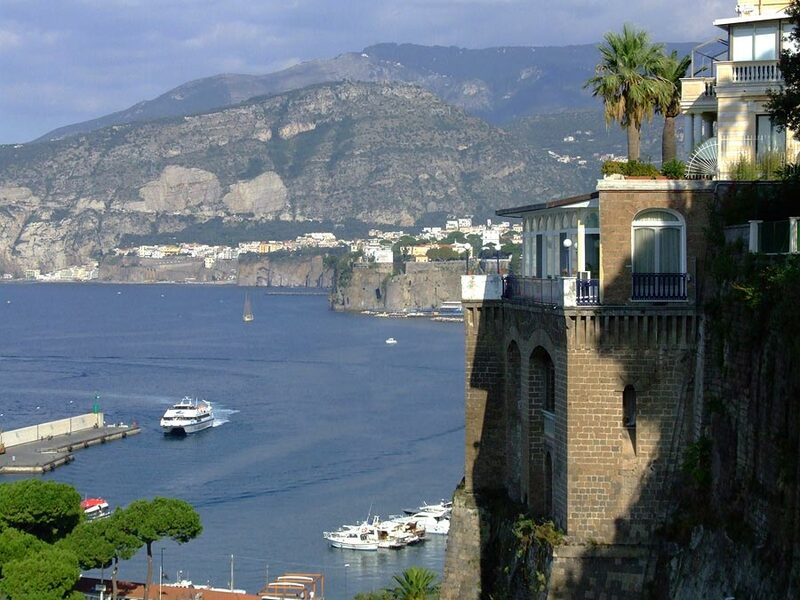 There are hotels perched on the high cliffs of Sorrento. That may well be the ferry to Capri pulling into the harbour. 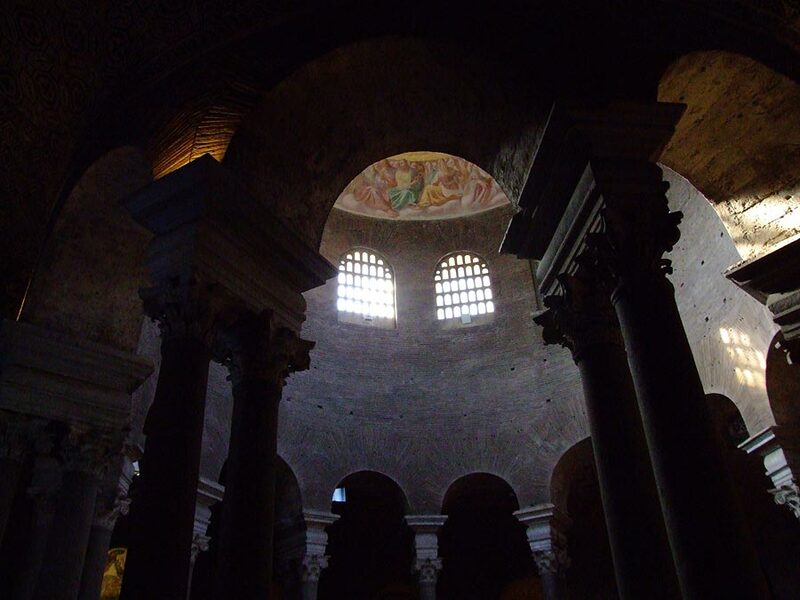 In Rome, this is the Mausoleum of Santa Costanza. Costanza was the daughter of Constantine, the first Christian Roman Emperor. 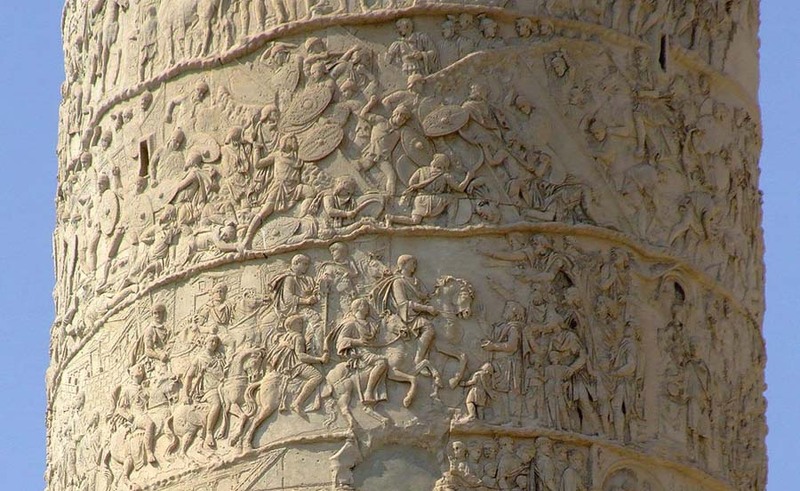 A detail of Hadrian's Column in the old Roman Forum. There is a similar column dedicated to the Emperor Marcus Aurelius in the Piazza Colonna. 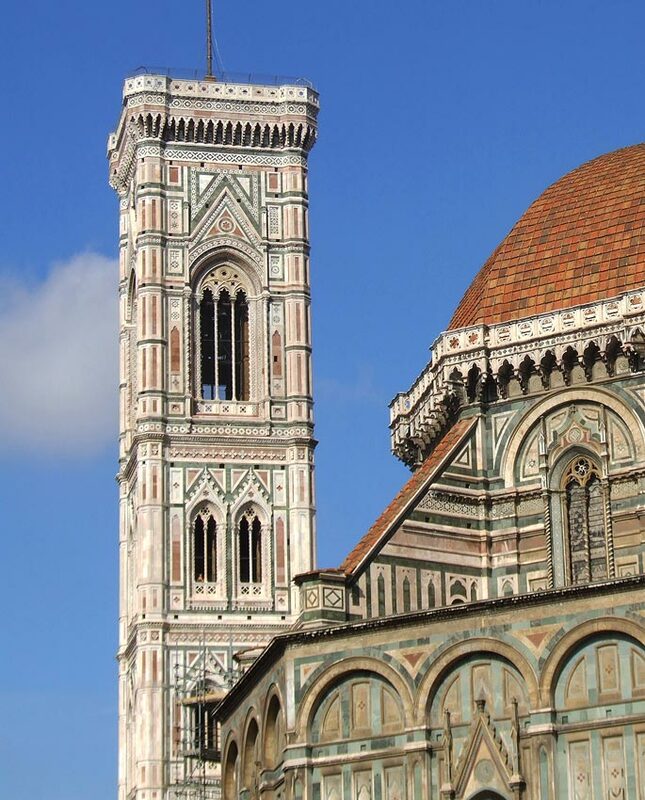 Giotto's magnificent tower stands next to the Duomo in Florence. 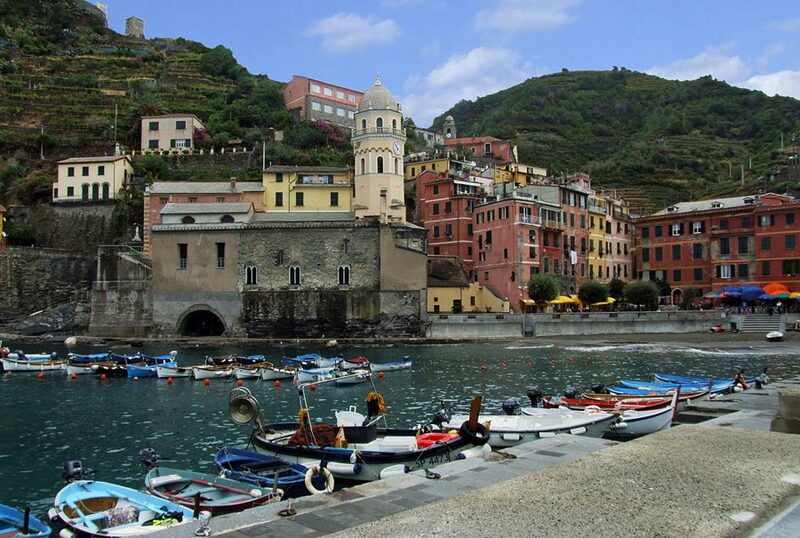 The charming town of Vernazza, on the Cinqueterra. 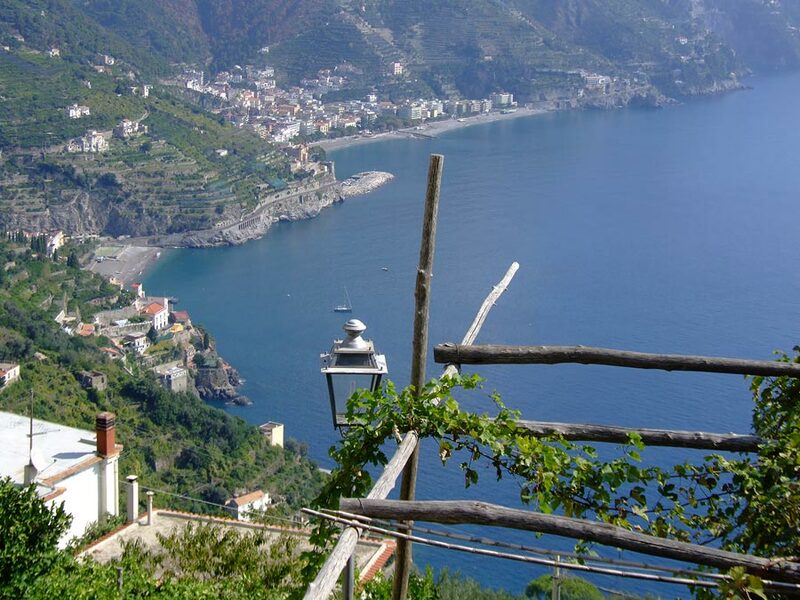 A view of the spectacular coastline of the Amalfitana. That white house with its barrel-vault roofs is one of my favourite buildings on that coast. I will show more photos of it in the next round. I walked for several hours along the road from Praiano towards Amalfi, doing my best to avoid being squashed by the buses and cars.